As my son approaches the age of six, I need to choose what programming he is allowed to watch carefully. These days, we cannot assume, just because a children's show is animated, that it is appropriate for a child my son's age. I have to admit that I was wary about the Johnny Test animated series because the main characters in this cartoon are 11 and 13 years old. After watching the 6-episode DVD titled Johnny Test: Johnny X and Super Pooch I came to the conclusion that it is a show that I would allow my nearly 6yr old son to watch. Some of the things I watch out for are violence and the main characters portraying that poor attitudes and name-calling equals coolness. I did not see any of those negative attributes in Johnny Test. The Johnny Test series is fun and interesting to watch because the possibilities are endless. 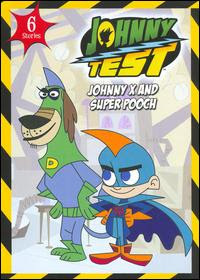 The premise is that Johnny Test and his dog Dukey became Johnny X and Super Pooch because Johnny's highly intelligent twin sisters Susan and Mary perform scientific experiments on them regularly. As a result Johnny and Dukey are constantly discovering new super powers, such as being able to turn into a snake or a polar bear, having arms that can create twisters, and the ability to fly. Of course my son's favorite super power of all the ones Johnny X possesses is the one that allows him to expel fire when he passes gas. Overall, I think this is a fun non-educational cartoon that can just be watched for pure enjoyment. Johnny Test presents the classic theme of good vs evil, but it is also extremely unpredictable. That element of unpredictability is what makes this cartoon stand out from the rest. 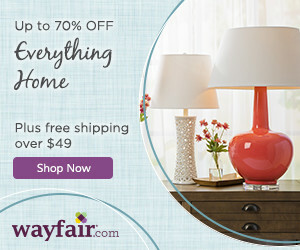 If you are considering picking up a Johnny Test DVD for a gift or a stocking stuffer this holiday, they are temporarily being offered at the reduced price of $5.99 each on NCircleEntertainment.com .